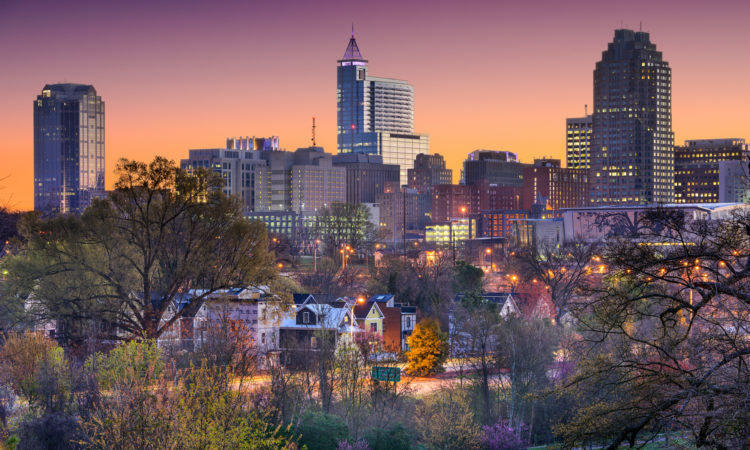 Today, Twin City, as it is commonly called, is considered the 5th largest city in North Carolina. With that many people running around its streets, there must be tons of things to do. The problem with looking for Winston-Salem attractions is not in finding them, but in picking which one you are going to do today. So without further ado, read on, to discover all of the wonderful things to do in Winston-Salem, NC. The League of American Bicyclists gave Winston-Salem a Bronze level Bicycle Friendly Community Designation in 2013. This title is given to cities who go above and beyond to make their little slice of heaven bicyclist friendly. With nearly 20 miles of on-street bike lanes and 11 official bike routes, you can find a trail with your name on it no matter where you live within the city limits. Some noteworthy trails include the Long Branch Trail, the Salem Creek and Salem Lake Greenways and the Muddy Creek Greenway. The Long Branch Trails runs through Downtown Winston-Salem’s Innovation District. The path leads you past the twin RJR Smokestacks and further south by the Center for Design Innovation. It is a hybrid of urban visuals and sprawling greenery. This is actually two trails linked to one another. The first originates in downtown Winston-Salem and runs all the way up to Salem Lake. The Salem Lake Greenway then proceeds to circle the entirety of the lake. From there, you can hop on the trail to head back downtown and get a cool, refreshing beverage. Follow Muddy Creek through the flat fields and delightful woodscapes that dot the fringes of western Winston-Salem. Nature lovers will enjoy the large array of birds that flock to the area. If you are a gamer like me, you have things to do in Winston-Salem, NC. For the more adult versions, check out the Reboot or Camel City BBQ Factory. For family-friendly fun, give Adventure Landing a whirl. Pinball Tournaments, Street Fighter III Fight Club and Mad Max Themed birthday bashes! These are all recent events at the Reboot Arcade Bar. The arcade showcases retro games like Donkey Kong, Pac-Man and Space Invaders. Have a beer, shoot lasers at your friends and make weird circle creatures eat fruits. What more could anyone ask for? If you prefer good eats to good drinks, but would still like to have a tasty beer-verage while you play, then Camel City BBQ Factory may be the gamer’s haven you’ve been looking for. 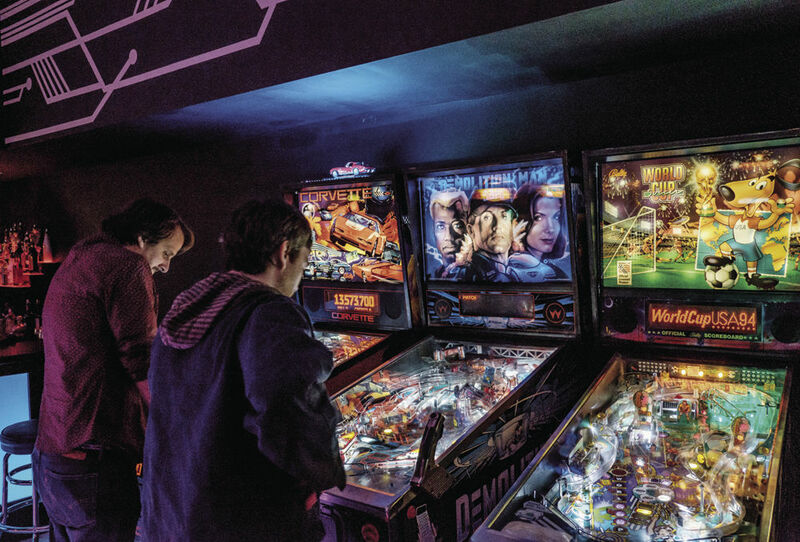 The games at Camel City include Skee-Ball, Racing and Aliens, a relatively new arcade shooter. Corn Hole, Connect Four, horseshoes and air hockey also make appearances in their gaming portfolio. The Ramkat is a live music and performance venue that supports local artists, as well as draws in international superstars. The Ramkat took over another former Winston-Salem music venue, Ziggy’s early this year (2018). While music is the core of the Ramkat’s stage performances, they also feature other forms of entertainment like stand up comedy, dance and movie screenings. Check out Ramkat’s Upcoming Shows to see what they have coming next! It’s a bar. Sure. But it isn’t just any bar. Fair Witness specializes in creative cocktailing. The owner of the bar even went so far as to turn two Japanese cold-brew coffeemakers into infusers. That’s right folks. Flavored liquor. I am not really much of a drinker myself, but I am a fan of experiences and Fair Witness is just that. They have turned mixology into an art form. A very tasty, high alcohol content, artform. As an added bonus, Fair Witness is derived from a classic. Nolan named the bar after a type of character in “Stranger in a Stange Land,” a novel by Robert Heinlein. Simply meandering downtown will unlock many of the things to do in Winston-Salem, NC. The city is steeped in a rich history that presents many opportunities for exciting exploration. Famous for lunchtime concerts and Ice Cream Tuesdays, Bailey Park is an ideal midday retreat. The park’s Calendar of Events is always jam-packed with ways to fill your belly and your mind. If you want to tour the city in style, the Winston-Salem Segway Tour is the way to go. Enjoy a two-hour fun-filled gauntlet around downtown while riding a Segway. The tours are available through Triad ECO Adventures, which offers other fun ways to enjoy the city as well. Winston-Salem and its surrounding areas are perfect for nature lovers. The natural environments found in this region are stunning and often overlooked. Fortunately, the community recognizes the beauty enveloping their town and great strides have been taken to ensure the pristine landscapes are protected and remain accessible to everyone. The long-awaited Quarry Park is finally open for business, so to speak. As its name implies, the park used to be a rock quarry owned by a company called Vulcan. 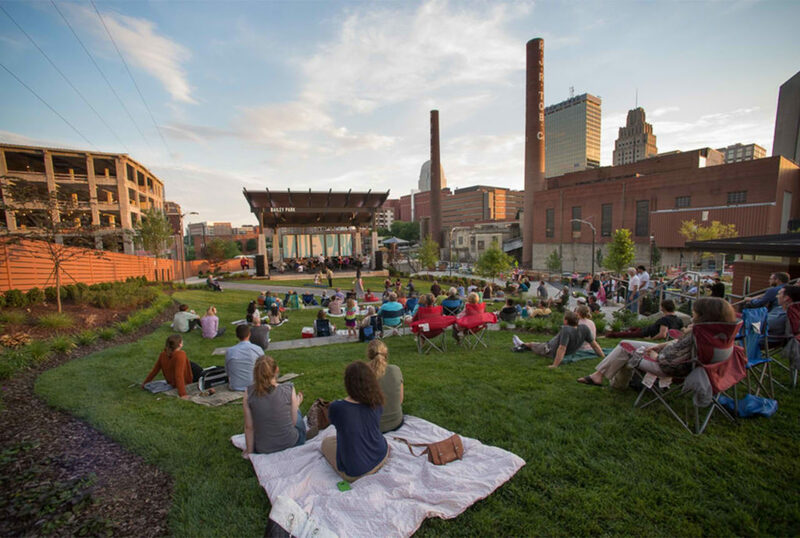 Recently, the city of Winston-Salem acquired the property and now it is a picturesque oasis that every photographer will love, especially at sunset. If the views of the encroaching mountains are not enough to make you speechless, the waterscape of Quarry Lake will. But this place is not just for artists! 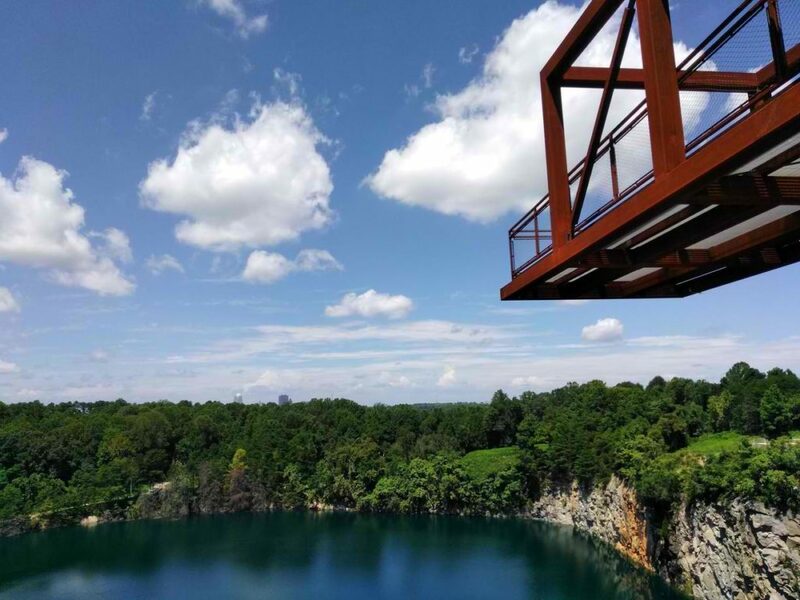 Children will love adventure time at Quarry Park. The huge boulders and strange circular sculptures dotting the scenery are ideal for climbing or a rousing game of Hide-and-go-Seek. Outside of Winston-Salem, Pilot Mountain shoots out of the ground. For more than 2,000 feet the rocky protrusion reaches for the sky. It almost looks like Mother Nature’s attempt at a skyscraper. The possibilities of entertainment at Pilot Mountain are nearly endless: Walking trails for hiking, a bridle trail for horseback riding, a canoe trail for boating, a family campground for a weekend getaway. And that is just the short list! You can even go rock climbing and rappel down certain parts of the mountain. The Hidden Gem of Salem, as the lake is often called, sits just a few miles outside of the city. The brand new Salem Lake Marina Center opened in March of this year. You can enjoy yoga classes at the marina and get tickets for a pontoon boat ride. 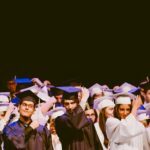 Fun and educational Activities are often available for kids. The programs are geared towards learning about the natural environment of the lake and Salem Creek, which feeds into Lake Salem. Children will also learn how to safely interact with the lake’s environment without hurting its delicate ecosystem. 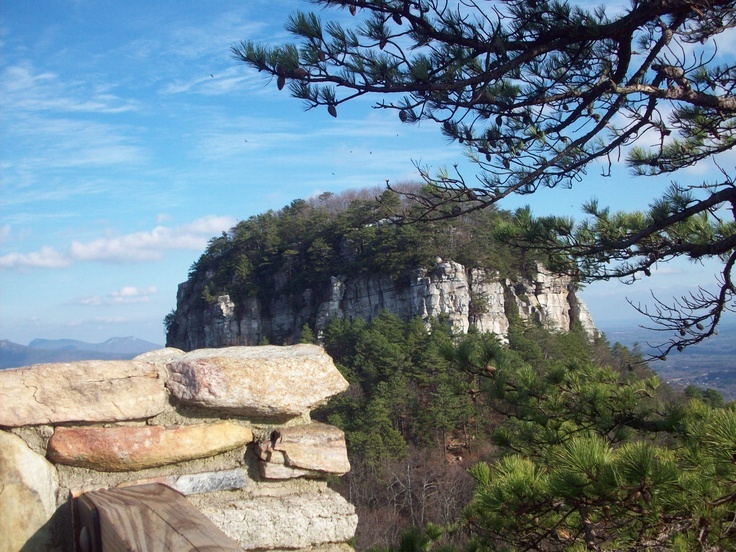 Hanging Rock State Park was established in the 1930’s as a Civilian Conservation Corps (CCC) program. For those unfamiliar, President Franklin D. Roosevelt introduced the CCC as a means to give young men with few labor skills a means to work. It also gave the US an opportunity to develop their natural resources. Today, Hanging Rock features a campground with 73 sites, a cluster of cabins, picnic tables and access to the Dan River. You can go biking, hiking, paddling, and fishing or you can visit the park museum to learn more about the history of Sauratown Mountains. This nearly 9-foot tall waterfall is not in the far reaches of the woods like most of the natural attractions I have mentioned. Instead, the fall is a tiny secret tucked behind a layer of kudzu and briars in the middle of Winston-Salem. If you ever find yourself in the city yard, see if you can’t find treasure tucked away in its little hiding place. Eventually, the city of Winston-Salem does plan to incorporate this natural beauty into the Innovation Quarter. There is the talk of a small footbridge that will cross it and all. But if you are like me and would prefer to enjoy the waterfall while it is still pristine, you may want to get over there fast. When you are out looking for Winston-Salem Attractions, you will find some of the best rooted in the city’s history. Some of them you will have to hike to. Some of them will be easier to find. All of them will be worth the trip. The extensive Reynolda House was once the opulent home of the R.J. Reynolds family. Richard James Reynolds became wildly successful due to his ventures in cigarette tobacco. His wife built the estate outside of Winston-Salem and surrounded its own village to make it self-sustaining. This 60 room bungalow and its grounds are steeped in a rich history you can still explore today. You can explore the 20 plus acres of land that includes, beautifully manicured gardens, monumental architecture, American Art and so much more. The on-campus blacksmith shop, dairy barns, cattle sheds, post office, carriage house, and school buildings have all been converted into modern day amenities. 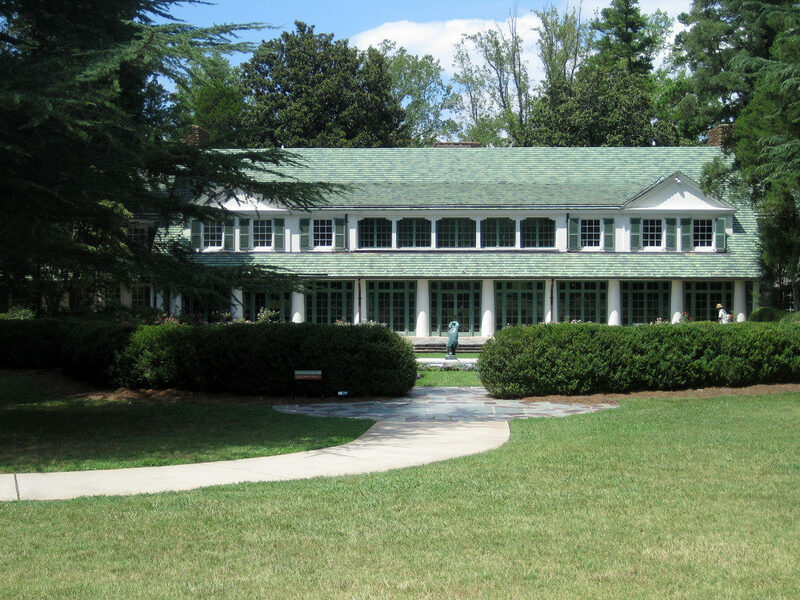 With the addition of the Reynolda House Museum of American Art, your opportunities for discovery are almost endless. Pack a picnic and get ready for a hike. 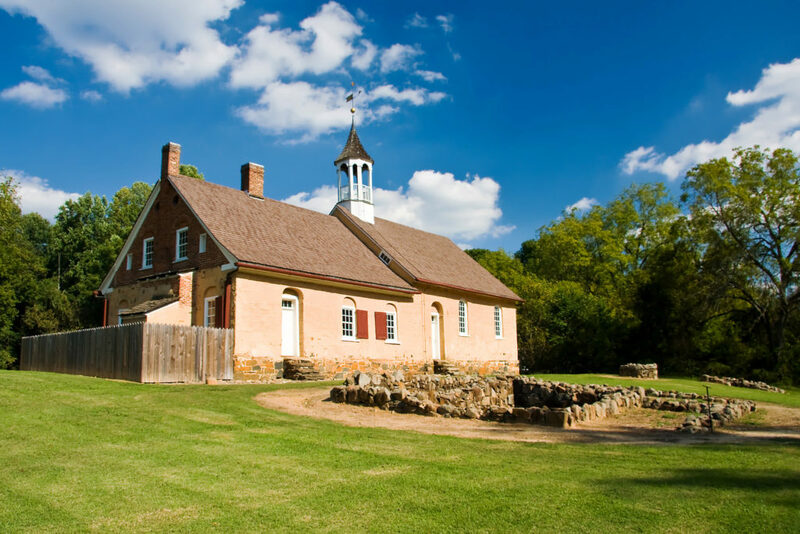 Part of the fun of venturing out to this historic landmark is finding it. The other part is in its history. The Spach house was built in 1774 and is really more of a fortress. Actually, by the very definition of a fortress, that is exactly what it was. A heavily protected and impenetrable building. And it needed to be if it was going to protect Adam Spach’s family in the violent era in which he lived. At this point in time, the ancient fortress is little more than scattered rubble, but there is still something about the place. Being in the midst of the debris induces a sense of connection to the past one can only feel in the presence of history. The Historic West End of Winston-Salem was originally designed as an ideal streetcar suburb. Today, many of the buildings still standing in this little nook of the city were built in the 1800’s. There is still a modern-day air to the place, but it is almost a veneer. If you scratch the surface, the history will bleed through. Today, you can tour many of the old houses. Or explore the plethora of unique shops that dot the street. Even a stroll down the street can be entertaining as you investigate the unparalleled beauty of the architecture. The original settlers of Winston-Salem were the Moravians. Bethabara Park is the village in which they lived. Taking a trip to the Park is a hybrid of natural and historical exploration. The log cabins are a monument to the past and can be toured for a better understanding of the area’s history, while the walking trails and flower gardens are a haven for a variety of local bird species. Not only can you learn about an ancient way of life, but you can also gain insight into the Moravian religion. 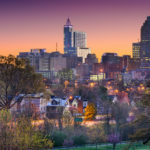 Now that you have an idea of some of the fun Winston-Salem attractions available for you to explore, I hope you will go out and experience them for yourself! Between wildlife, history and just plain fun, there is enough here for everyone to enjoy themselves. If you have any questions about some of these attractions or would like information on something else about the area, please feel free to contact us. 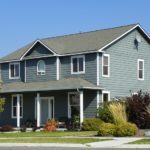 Should you be interested in moving to the area, you are welcome to learn more about me, Bill Rouse, and my available listings in the Winston-Salem area.